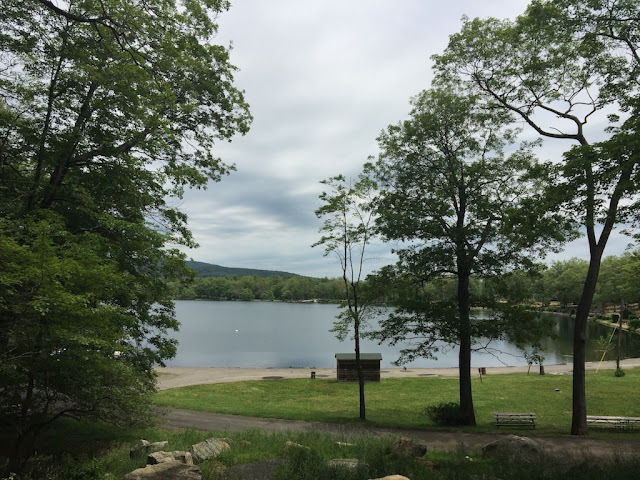 If longing for a nostalgic return to the summer camp days of youth, Bear Mountain State Park will get you there. Located approximately 45 miles north of New York City on the west side of the Hudson River in the Hudson Highlands, the bucolic park features an assortment of natural and man-made wonders in addition to its star feature, Bear Mountain. 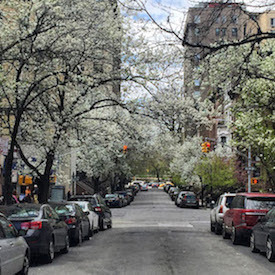 From the city, it’s relatively easy to get to Bear Mountain via bus from Port Authority. Bear Mountain. 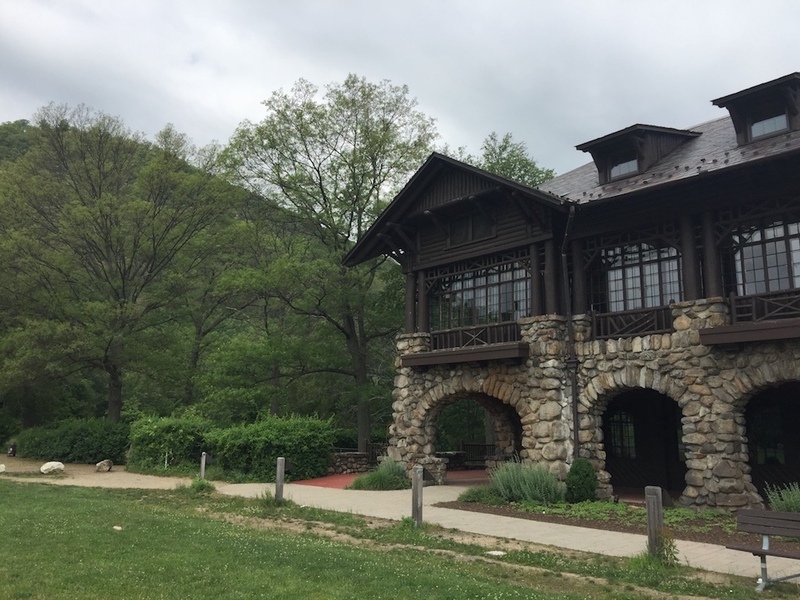 The fields adjoining Bear Mountain Inn were used by New York professional sports teams in the 1930s and 1940s. Of its many attractions, the 2,189 mile-, 14-state legendary Appalachian Trail winds through Bear Mountain State Park. 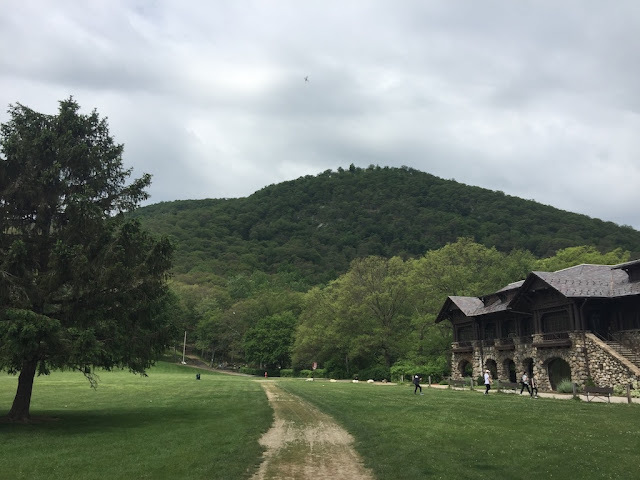 As a continuation of a long stretch in Harriman State Park, the trail veers up through a high section of the park before a descent into the Trailside Museums and Zoo near the river. In terms of elevation, the zoo area marks the lowest section of the whole Appalachian Trail. 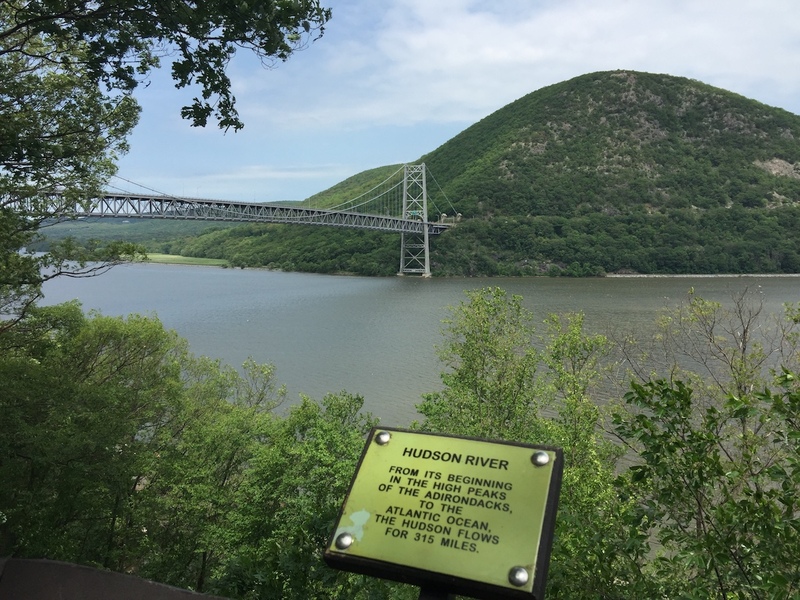 The trail then proceeds across Bear Mountain Bridge and over to the area near Anthonys Nose and the town of Peekskill, New York. Trails in Bear Mountain State Park include the trail-of-all-trails, the Appalachian National Scenic Trail. According to the thru-hikers I met on the trail (a thru-hiker goes end-to-end of the trail within one hiking season), the stretch of the Appalachian Trail in Bear Mountain State Park is one of the best maintained in the whole system. These hikers should know, as they have already hiked two-thirds of the longest hiking path in the world. Typically, hikers begin their quest in Georgia and end in Maine. Meeting thru-hikers on the A.T. is an especially marvelous feature of a walk here. While chatting with the hikers about their overall spirit and health, they seemed to have achieved a higher, or at least altered, state of consciousness. All were cheery, or at least at peace after bouts of self-doubt. None were particularly scruffy. After walking the 1403 miles from Georgia, they had 786 miles left to go before the final ascent of Mount Katahdin in Maine. Bear Mountain Inn is known as a fine example of Adirondacks Great Camps architecture. If I had spent the last few months hiking on one of longest trails in the world, I would be pretty happy to see the sight of Bear Mountain Inn. On the southern edge of Hessian Lake, the historic lodge of stone and chestnut timber represents an excellent example of Adirondack Great Camps architecture. The second-floor great hall of the lodge features high ceilings, wrap-around windows with views of the mountain scenery, and mounted animals flanking the fireplace. The room smells of deep woodsy pine, like an extinguished mountain campfire, the sort of fragrance largely absent in New York subways. The adjoining bar with outdoor terrace offers tapas and standard fare. While taking a lunch break between walks, I watched a couple of young thru-hikers delighting in their platters of hamburgers and fries. 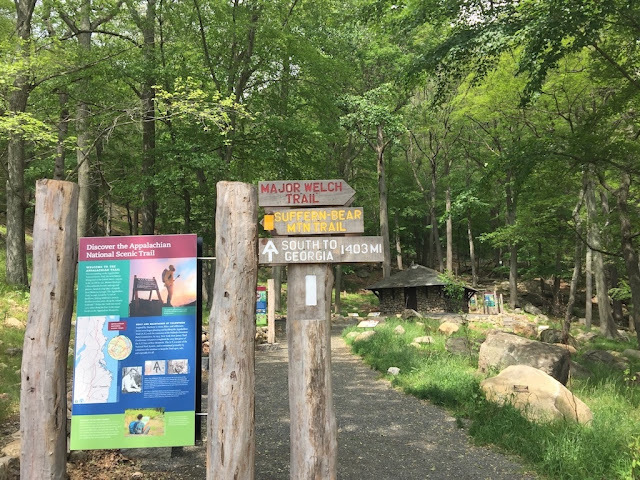 The "Gateway," a section of the Appalachian Trail in Bear Mountain near the base of the mountain, is well-maintained and relatively easy for dilettante hikers from the big city. A few hours at Bear Mountain may allow only a couple of short hikes for the day tripper or an assortment of wanderings, yet a brief walk on the Appalachian Trail and a jaunt on one of many additional trails can bring many rewards. Within thirty minutes of my arrival, I saw a large cat scurrying across the well-landscaped section of the A.T. known as the “Gateway.” After my post-lunch walk through Bear Mountain Zoo, I realized I had actually seen a bobcat, for the fellow in the zoo labeled as such (the animals here are rescues) bore a close likeness to the big kitty on the trail. A party of young city women, fellow passengers on the bus trip from the city, expressed a desire to see actual bears on Bear Mountain. 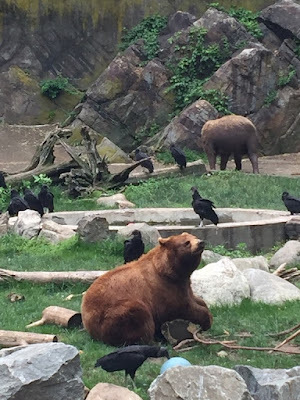 As I have seen bears in the wild, a sight that can induce genuine fear, I was not as enthusiastic for such an encounter. In addition to the copious amount of bear merchandise in the inn's gift shop, the park does show off two real bears in an exhibit at the zoo. On my visit, one of them seemed to take delight in lounging on a hammock, surrounded by predatory birds that served as lowly subjects of his court. Hessian Lake in Bear Mountain State Park. The trail around the lake is good for beginners. 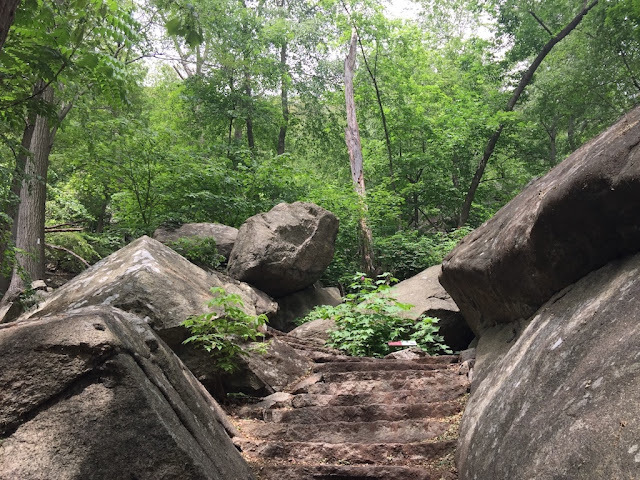 Operated by the Palisades Interstate Park Commission, Bear Mountain State Park played an important role in early conservation efforts in the United States and in the beginning of the Appalachian Trail. The quick version: Early in the 20th century, the State of New York had advanced plans to relocate Sing Sing prison from the east side of the Hudson to Bear Mountain on the west. Mary Averell Harriman, the newly widowed wife of the Union Pacific Railroad titan, offered a million dollars and 10,000 acres to halt the prison relocation. She joined forces with Progressive Era politician George Waldridge Perkins, John D. Rockefeller, and J.P. Morgan to secure the land for a public park. The park opened in 1913, with the Bear Mountain Inn soon following in 1915. In October 1923, the first section of the Appalachian Trail was opened, a path from Bear Mountain westward through Harriman State Park to Arden, New York. From the 1920s to the late 1940s, a couple of steamboats ferried visitors from New York City to the park. During the 1930s and the 1940s, the inn and its wide-open field served as training headquarters for the Brooklyn Dodgers, the New York Giants, and the New York Knickerbockers. The property is listed on the National Register of Historic Places. (Source: Wikipedia entry, Bear Mountain State Park). 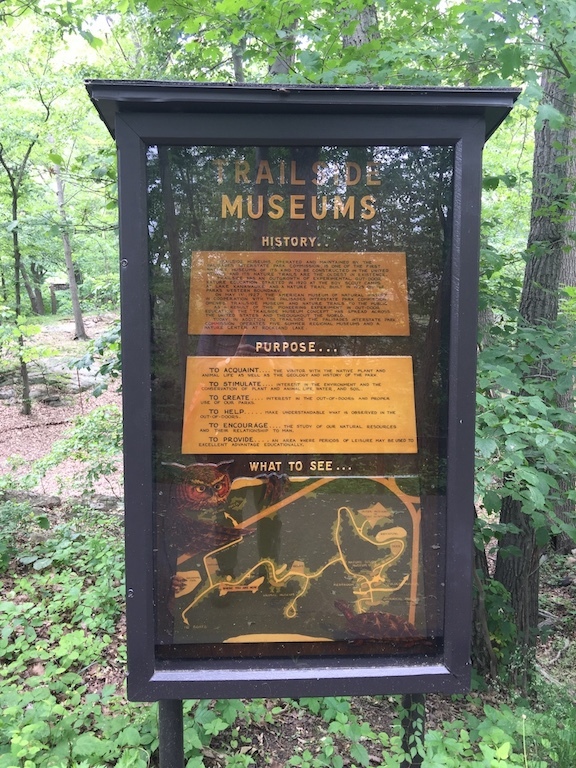 The signage in the Trailside Museums and Zoo nicely preserves the look of early nature exhibits. If visiting the park, do consider taking the trail to the Trailside Museum and Zoo via the underpass. On the way to the zoo, check out the splendid statue of Walt Whitman by sculptor Jo Davidson, or take a quick detour to see the park’s public swimming pool (you’ll want to jump in). 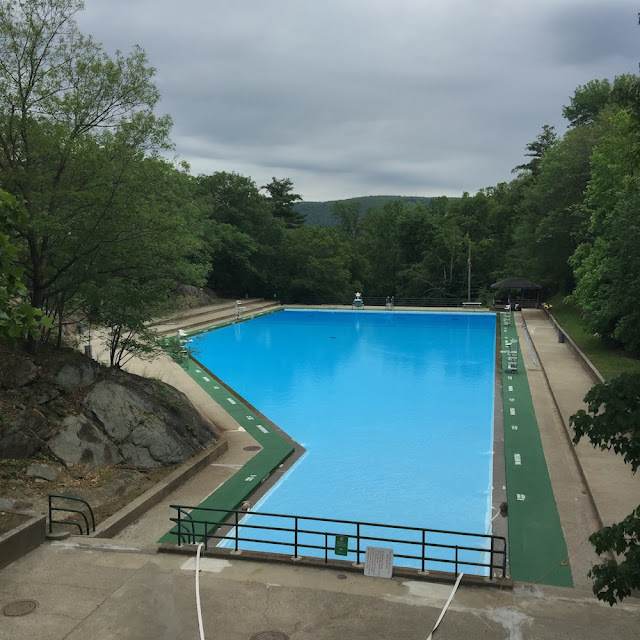 The pool at Bear Mountain State Park. Refreshing just to see. The exhibits at the museums and zoo preserve the look and feel of the earliest nature trails from the 1920s. The nature trail and museums were the first of its kind in the United States. In addition, a quick jaunt from the zoo to Geology Point opens up great views of Bear Mountain Bridge and Anthonys Nose. In addition to its natural beauty, Bear Mountain was the site of several battles during the American Revolution. The Bear Mountain day trip (daily service) via Coach USA/ShortLine Bus departs Port Authority in New York City at 8:45 a.m. and also at 11:15 a.m. on the weekdays, depositing passengers at Bear Mountain Inn about 1.5 hours later. The return trip leaves the inn at 3:19 p.m., with an expected arrival time in New York at 5 p.m. Considering the hour of arrival at 5 p.m., i.e. rush hour, expect a delay. Check website for weekend schedule. Bear Mountain is also popular in the golden colors of autumn and in the snows of winter. 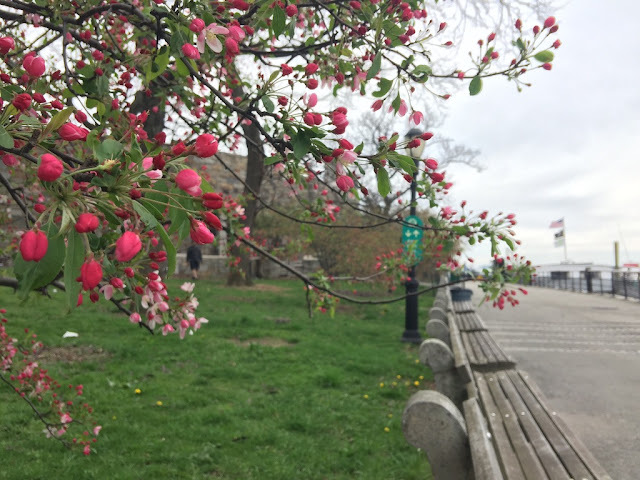 Images by Walking Off the Big Apple from Thursday, June 15, 2017. * On the weekend, day hikers may want to consider taking the Metro-North Hudson Line to the Manitou station (limited service) and walk over to Bear Mountain via the bridge. This may be a little tricky to navigate. In addition, the Metro-North Harlem Line makes weekend stops at the Appalachian Trail station. • Be sure to bring a hat, sunglasses, bug spray, and sunscreen. Wear sturdy shoes.